A life jacket is the most important piece of gear for anyone spending time on the water. Shop our selection of great fitting and durable life jackets and PFDs for adults and kids. Sailing life jackets are an essential part of your apparel kit and the one piece of gear that can truly save your life. The importance of a life vest, especially for kids, is obvious and cannot be taken lightly by anyone who gets on a small sailboat. Be safe and enjoy your time on the water with these comfortable and stylish life jackets. We carry both US Coast Guard approved life jackets (PFDs) as well as CE approved Buoyancy Aids. Options available for men, women, and kids in a variety of styles, colors, and price points, so we have something for every budget. These are US Coast Guard approved life jackets, and meet all requirements for US Sailing. Popular in Europe, buoyancy aids are typically lighter and more slim fitting than USCG approved PFDs. Spray tops, thermal tops, spandex tops, and technical shirts for sailing. Complete your kit with a great sailing top. We offer a huge selection of spray tops, thermal tops, spandex tops, and technical shirts for your next sailing adventure. Spray pants, pants, and shorts designed for sailors. Hiking pants offer comfort so you can hike harder in your sailboat. Add comfort into the sailing equation with a new pair of sailing hiking pants! West Coast Sailing has one of the most extensive selections of hiking pants & shorts for dinghy sailing. Shop classic 3/4 length hikers that protect your knees, hikers with fixed (sewn on) pads or adjustable/removable pads, or padded shorts and pants for situations where a bit of extra padding is needed. Neoprene protection for your legs and core for all seasons. A wetsuit is a popular and versatile garment for spring and fall sailing, offering core warmth and the ability to add or subtract layers as conditions change. Pair with a smock top and thermal top for those chilly days on the water! Wet suits available in full length, farmer john style sleeveless, pants, and shorts styles for adults and kids.Pick up yours today and keep sailing late into the season. Sailing deep into the cold of winter? A drysuit is a must for any dinghy sailor sailing in extremely cold conditions. Waterproof fabric and seals at the wrist and neck mean your drysuit is fully submersable and will keep you warm and dry inside. Layer up with a combination of base layers and mid layers depending on the conditions. Dinghy sailing boots, deck shoes, and socks. Proper footwear is important while out on the water. Shop our extensive selection of the best dinghy sailing footwear available, from neoprene and rubber dinghy boots, to offshore sailing boots, deck shoes, socks, and more from Gill, Zhik, Sperry Top-Sider, Rooster, SEA and more. Base and mid layers for building your perfect sailing kit. Base layers are a key part of the layering process. They are worn next to your skin to help wick away sweat that develops during physical activity, like dinghy sailing, to keep you cool when active and warm by removing sweat before it can give you the chills in cold conditions. A mid layer is a key part of the three part layering system. Worn between a base layer and an outer or shell layer, the mid layer provides warmth and insulation on cold days. A great pair of gloves are a key part of any sailors kit and provide both grip and all day comfort for handling line on a sailboat. Protecting your hands is as important as protecting anything on your boat. At West Coast Sailing, we carry a wide range of sailing gloves for fast action dinghy sailing, scholastic sailing, cruising, keelboat sailing, offshore sailing, and more. Shop short finger gloves and long finger gloves styles for traditional sailing gloves with great grip and protection. These are perfect for the majority of sailors on multiple styles of boats. Heading out in the cold? Shop our selection of winter gloves, designed with neoprene and other warm materials to keep your hands warm on the water while providing grip and dexterity. These are a must for late fall, winter, and early spring sailing. And finally, if you're looking for ultra lightweight grip, check out our selection of gardening grip gloves, designed to grip small diameter line and hold on tight. These are prefect for skiff sailors. We also carry several offshore gloves for use on larger boats or in cold sailing conditions. Short Finger Gloves - Traditional style sailing gloves with reinforced palm and great durability for handling line on a sailboats. These gloves are cut to have all five fingers exposed for ease of tying knots and handling small hardware. Great for use in warmer weather. Long Finger Gloves - Similar to Short Finger Gloves, except the middle three fingers are fully protected. While typically not designed for use in colder weather, these gloves do offer a bit more protection for your hands. Most short finger gloves are available in a matching long finger style. Winter Gloves - Sailing gloves designed for sailing in colder conditions, typically made from a neoprene fabric for insulation with a reinforced palm for handling small lines. Gardening Grip Gloves - Popular among skiff sailors who need excellent grip for small, technical lines, these lightweight gloves have a sticky grip surface that works well for short term use but won't hold up as long as a traditional Short Finger or Long Finger sailing glove. 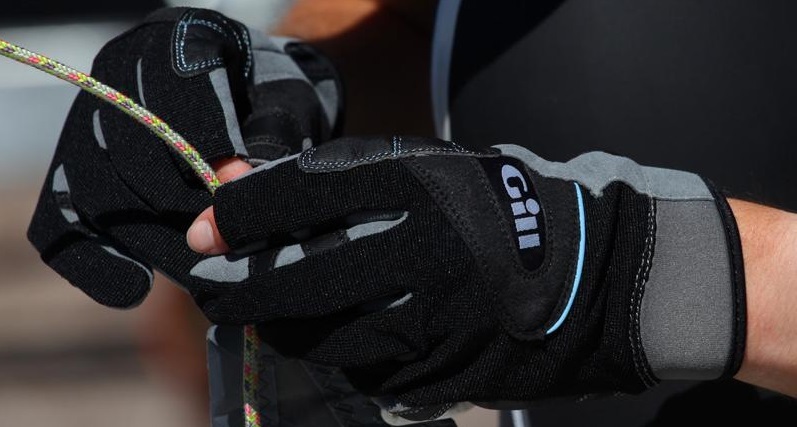 Offshore Gloves - Heavy weight gloves designed for offshore or coastal sailing. These typically won't hold up as well when handling small lines on smaller boats, but are great for use on cruising boats with larger line diameters. Sailing headwear including caps and wool hats. Whether you're looking to keep the sun off your face or need a warm beanie for a cold winter day, we have all the latest sailing headwear from top brands including Gill, Zhik, Rooster, and more. Find your perfect cap and hit the water in style! Stay dry and comfortable on and off the boat with a waterproof sailing jacket. A proper waterproof jacket will protect you from water,wind, and spray, whether on the boat or off. These jackets are great for dinghy sailors looking for something to wear in the boat yard, or sailors looking for dependable option for use on boats of any size. Shop top rated dinghy sailing accessories including watches, bags, sunglasses, helmets, and more. We have a wide range of headwear, gloves, watches, bags and luggage, tools and knives, product care items, coaching accessories, and more. Sailing gear designed for the female sailor. These pieces offer a more tailored and comfortable fit for long hours on the water. It's time to look, feel, and sail your best!. Need additional gear? Most sailing apparel is sized as mens or unisex, but can work great for any sailor. Junior sailing gear designed specifically for kids. From Gill spray tops, to Zhik wetsuits, life jackets, hats, gloves, and more, we've got everything you need to properly outfit your young sailor for their next adventure! Shop deals on great sailing gear including past year colorways, discontinued product, overstocks, and more. Inventory is limited, so don't delay! Please note that inventory is limited. Clearance items are eligible for store credit on return only. Scholastic discounts do not apply. Browse through the types of boats we support and find parts that are specifically for your boat. We offer a variety of parts and accessories for many types of small sailboats and popular dinghies including Laser, Sunfish, Hobie Cat, RS Sailing, and more. Find the boat you need parts for in our list above to see all the items that are made specifically for your boat. If you don't see what you are looking for, the part may be a general part which will be located under our Parts - General Parts tab at the top of the page. West Coast Sailing is your source for parts and accessories for popular small keelboats including J/22, J/24, Sonar, Etchells, J/105, Melges 24, and more. Enjoy FREE SHIPPING on orders over $35. Small parts for small sailboats. At West Coast Sailing we strive to be your ultimate source for sailboat hardware. Whether you are looking for sailing blocks, cleats, shackles, pins and ding rings, knives and multitools or other deck hardware, you can find what you're looking for here. Shop our hand-picked selection of cleats, blocks, shackles, pins, and ring dings designed for a variety of small sailboats. We stock a huge selection of small boat sailing blocks from Harken and Ronstan. Block choice can make or break the performance and ease of use of your sailboat. We stock a huge selection of small boat sailing blocks from Harken and Ronstan, including 16mm AirBlocks, Carbo Blocks, T2 Blocks, Ratchet Blocks, Orbit Blocks, and more. Each of these block ranges are available in a number of configurations including single, single with becket, double, triple, with or without ratchet, and more. If you're looking for small boat blocks, we've got you covered! At West Coast Sailing, we offer the marine and sailing rope required to get cruisers and avid racers for sailboats of all sizes moving in the right direction. No matter what kind of sailing you prefer, a sailboat is nothing without its ropes. That is why at West Coast Sailing, we offer the marine and sailing rope required to get cruisers and avid racers for sailboats of all sizes moving in the right direction. We have line for sail controls, sheets, halyards, shockcord, bow lines, and more in single and double braid, small and large diameter, low stretch, high performance, and recreational from top rope manufactures including FSE, New England Ropes, Marlow, Samson, Alpha Ropes, and more. West Coast Sailing has all the tools you need to store and transport your small sailboat, dinghy, kayak, or other small boat. We stock a wide variety of trailers, storage and trailer racks, beach dollies and dolly parts. Whether you are moving your boat up and down the beach or across the country, we have a solution for you. Beach dollies available from Dynamic Dollies & Racks and Seitech plus trailers from Trailex, Right-On, and Carnai. Need a custom solution? We do that too! Give us a call or send an email with your particular situation and we'll recommend a great solution. Spend more time on the water with a new dolly, trailer, or rack. We offer a full range of hull and deck covers, blade bags, spar bags, and sail bags to keep your boat protected. Protect your boat with a new cover or bag! We offer a full range of hull and deck covers, blade bags, spar bags, and sail bags to keep your boat protected and your gear organized for a variety of small sailboats. Shop covers and bags for Laser, Sunfish, Opti, 29er, 420, FJ, Tasar, V-15, Hobie Cat and more. Multiple styles and fabrics available to suit any budget. Outfit your boat with the latest accessories including wind indicators, electronic instruments, compasses and more. Outfit your boat with the latest accessories including wind indicators, electronic instruments, compasses and more. Plus tools and knives to make you next job easier! West Coast Sailing is your source for all things Hobie Cat including the full range of Hobie kayaks, parts, and accessories. West Coast Sailing is your source for all things Hobie Cat including the full range of Hobie kayaks, parts, and accessories. Browse our complete list of parts below, organized in helpful categories. We offer flat rate $5 shipping on all Hobie Cat orders over $35 (excluding oversize items) and easy returns & exchanges. Need help finding an item? Check out the Hobie Kayak Parts & Accessories catalog (link opens PDF in new tab). RS Sailing is the fastest growing sailboat brand in North America. From the entry level youth trainers to high performance skiffs, RS offers a complete range of sailboats to meet any sailors needs. West Coast Sailing is a regional distributor for the entire RS range and a key voice in the development of various RS classes and activities in North America. We are proud supporters of the RS motto, "Sail it. Live it. Love it." Since 1950, Hobie Cat Sailboats has been shaping a unique lifestyle based around fun, water, and quality products. From the iconic Hobie 16 and family fun Hobie Getaway to the innovative and fun Tandem Island and Mirage Eclipse, Hobie Cat offers a boat for every one. We look forward to helping you get out in the water on a new Hobie Cat. Go ahead, build some memories! Looking for Hobie Cat parts? Visit our Hobie parts and accessories page here. The Laser is a legendary racing sailboat for beginners and veterans alike. Laser is also the most popular Olympic class sailboat. Are you up to the challenge? The Laser is manufactured by LaserPerformance, based in Newport, RI. Other popular boats in the range include the iconic Sunfish, Club 420, FJ, Vago, Bahia and Pico sailboats. West Coast Sailing has been a leading LaserPerformance dealer since 2005. Zim Sailing is based on Rhode Island and manufacturers the world's best Club 420, Flying Junior, and Optimist sailboats. 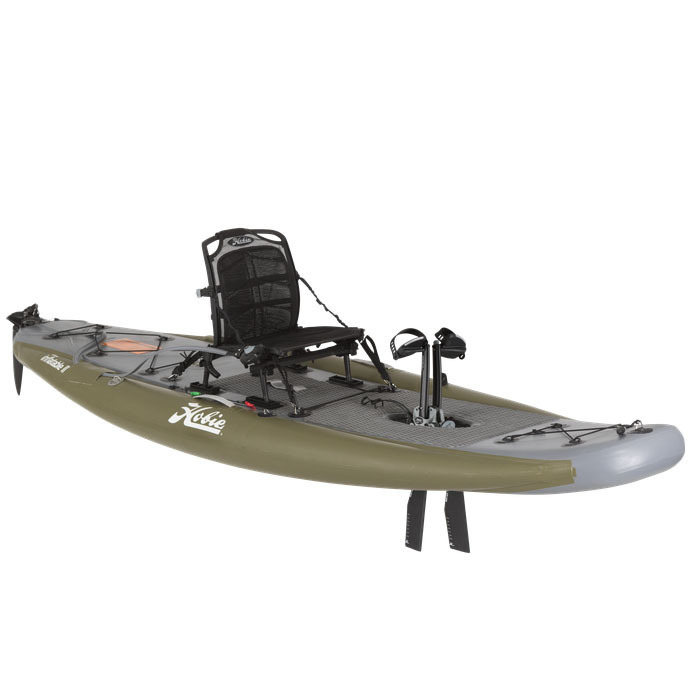 From inflatable and paddle kayaks to MirageDrive pedal kayaks and Pro Anglers, Hobie has the perfect kayak for you to get out on the water. 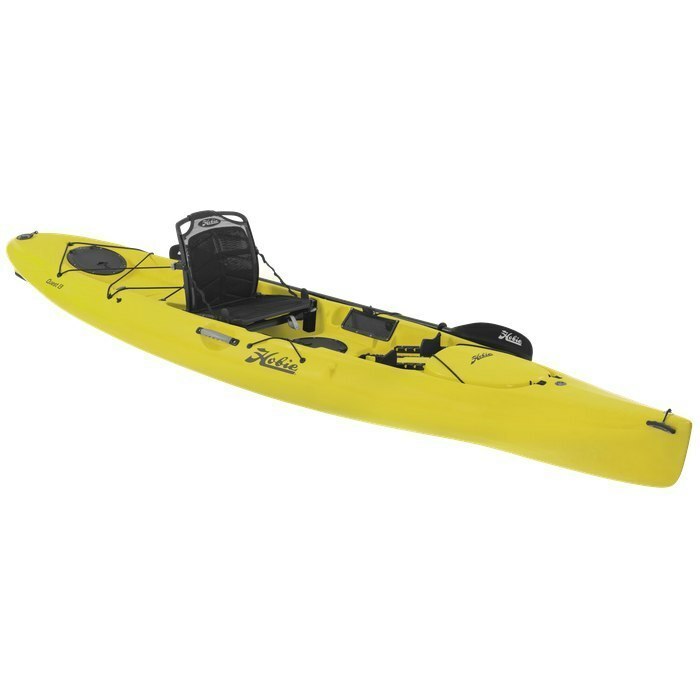 Shop the full range of Hobie Kayaks below. Hobie is home of the original pedal kayak, powered by Hobie's MirageDrive. Hobie didn't invent the kayak - they perfected it. 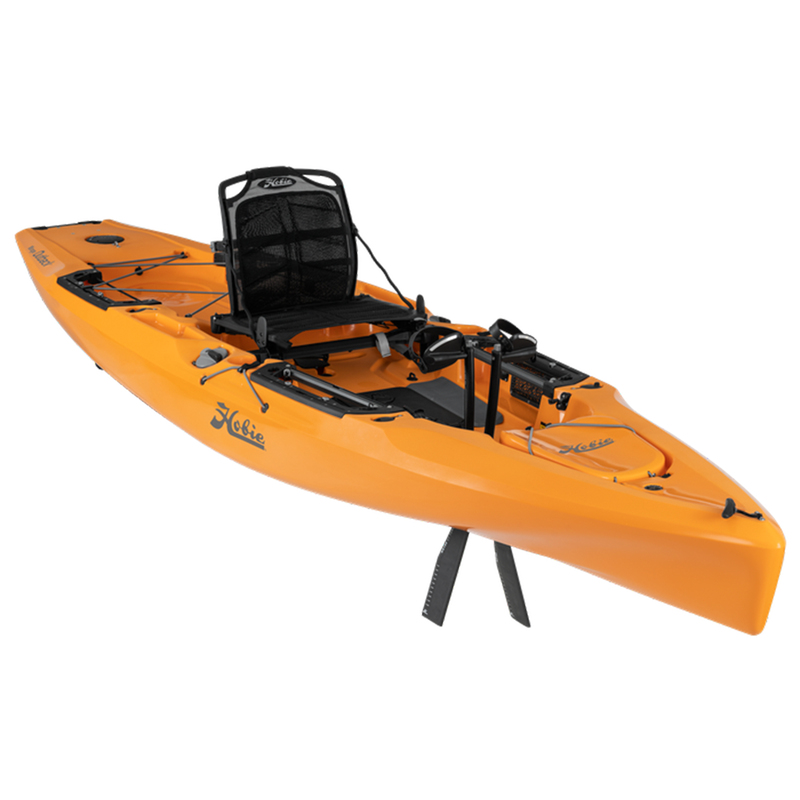 From inflatable and paddle kayaks to MirageDrive pedal kayaks and Pro Anglers, Hobie has the perfect way for you to get out on the water. West Coast Sailing stocks the full line of Hobie Kayaks, including the Mirage, Pro Angler, and Inflatable Kayaks as well as the Paddle Series, plus the full range of parts and accessories. McLaughlin Boatworks is the world leader in manufacturing the popular Optimist sailboat, used by countless youth sailors. Looking for a used sailboat? West Coast Sailing offers a variety of used small sailboats and dinghies including used Lasers, used Wetas, used RS Aeros, used RS Fevas, used Hobie Adventure Island and Tandem Island Kayaks, and more. All boats are inspected by our team of dinghy experts and are complete and ready to sail! West Coast Sailing is offering charters for the following events at CGRA in the Columbia River Gorge for Summer 2019. Reserve yours today!